Over the past 15 years I have been guided to evolve work which has assisted firstly myself and then others to become a physical pillar of light. To create myself, my cellular body to be a pure vessel to hold light so I could channel and direct light from Source and the Divine Mother for the planet. With the Cosmic Dance of Peace I created a way whereby a large quantity of light can flow through me into Mother Earth. Thereby assisting to balance the negative forces on the planet and assist humanity’s survival beyond the Mayan end date of 2012. To achieve this end, I cleared the dross of my early childhood and multiple past lives both on Earth and in other star systems. I created a way to clear patterns back to Source with the assistance of the Divine Mother and her love which dissolved the energy of that pattern. this is a course offered as “Soul line Clearing” I have also been aware that as I cleared a specific pattern, I knew I assisted with clearing the collective pain body for Mother Earth, for our beloved Gaia. All of this work helped in the creation of the new grid, the Crystalline Grid that now surrounds Mother Earth and has made it possible for us each to have a Divine experience without an intercessor. The completed Crystalline Grid also allows humanity and everything evolving on this planet to move from a carbon based DNA of the 3rd Dimension to a Crystalline based DNA of the 5th Dimension. The songs and soul language, I channel with the Goddess from Sirius, Ahrimshaha assist to heal the wounding to the feminine lineage, within every one of us, whether male or female. 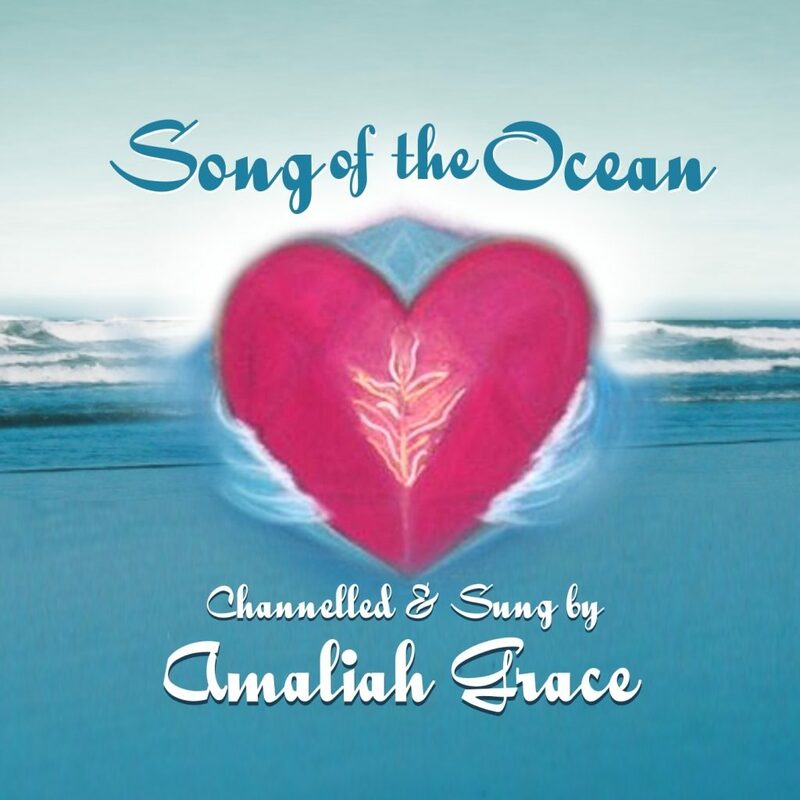 Everywhere my Goddess songs are played by those who connect with them, help to pulse another point of light of the Divine Feminine down into the Earth. From the equinox of September 2014 the NEW EARTH energy began to flow down upon Gaia. To lift us up to another level of spiritual mastery beyond what we have known, accomplished by Ascended masters during previous incarnations. 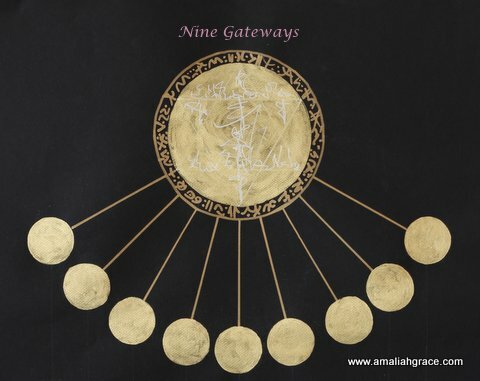 Now we stand at a new gateway and vibration, opening, surrendering and merging more of it, into our cells and embracing the potential of our past efforts. How do we bring this new vibration more tangibly into our physical bodies? To enable us to hold the light and love vibration towards Ascension’ without falling down emotionally or burning up in the dross of our collective karma. To surrender to our Soul’s wisdom and tangibly embody this light. To become a beacon of light, radiating out to others so they may come along with us, drawn like moths to a candle flame. The Solar light of our sun brings the life-force to Mother Earth. She is a living breathing organism with a pulse, a heartbeat that can be measured by science. The love she holds for us is tangible when you deeply connect with her. My dedication to the Ascension of our planet is ongoing. So it did not surprise me that at the September 2010, I began channeling in a series of Ascension Star Sound codes. My guidance was to work with one sound code every day for two weeks followed by a two week integration period. I knew these sounds could make changes to the physical body and brain, possibly building new synaptic pathways. I experienced sound code one, making changes to my brain stem up the back of my neck. At the time I believed I was to release them to assist with the lead up to 2012 and beyond. But no, life took me into another direction and these Ascension Star Codes of Light were put on hold until I began channeling in the artworks, a first for me. It was during the potent time of the Cardinal Cross Galactic alignment at the end of February finishing in the end of March 2014 that I opened myself to begin the visual artwork. The vibration of the galactic portal was intense and tangible so I began to bring through these new artworks. I set up my easel on my upstairs balcony open to the elements in view of the rock mountain. Facing the giant monolith, I lifted my arms up to the sky and connected with the energies working with me for the art. I channel in my Goddess for the sounds by connecting to the earth. This was different. Not feeling confident that day, I choose a small piece of black paper. I didn’t know what would be showing up or if there was any value in it other than for my personal development. This first art contained energetic vibrations of color, waves of light encoded with glyphs and gold and silver language of light. Several years earlier I was shown in a dream that I was working with pastel colors, light and wavelike vibrations, but had forgotten and hadn’t fully absorbed how or when I would do this. At the time there was no impetus to start. I was curious. Wondering if it this first artwork was more than something only for me, I introduced the image to a clairvoyant friend who was open and willing to lie down and receive, to discover what its possibilities were. I connected to the image to feel it with one hand while channeling vibration through as I held my other hand over my friend’s body. She felt energy moving in different parts of her body as I moved my hand around on top of the artwork. She gave me lots of feedback, what she was seeing and feeling, which assured me this artwork, was a potent piece of energetic art with a purpose. Feeling more confident from the interchange with my friend, I chose a larger piece of paper for the next artwork. Code two was very interesting. Totally different colors were used and a different balance with a very different feeling and sense to it. More silver was used for the writing of the language of light. It felt more feminine like a birthing canal and balance of the masculine and feminine. Now I needed to know what I was bringing in and for what purpose. So before I went to sleep I asked my guides “what is it that I am doing here?” Interestingly, it was the night of the March equinox of 2014. They woke me in the middle of the night to a dream vision. I saw a single image of a large golden Solar Disk. 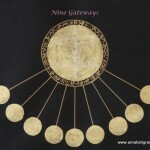 From this disk were nine gold arms radiating down and outwards, like beams of the sun. Attached to the bottom of each arm was a small golden disk. Then I returned to sleep. Next morning, I considered this image and wrote in my journal. The vision was etched in my brain similar to my experience with the vision for the template of Oneness in November 2004. 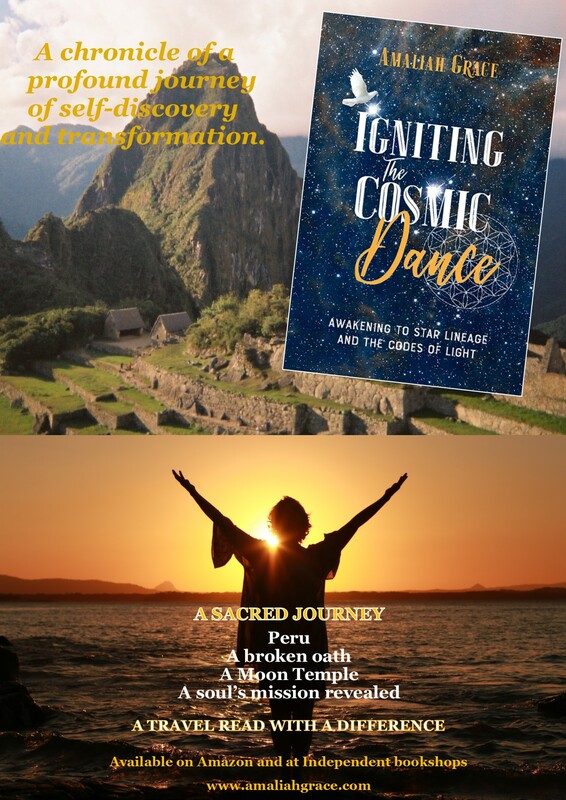 At that time I had traveled to Peru for a shamanic journey in 2004 and connected to the Cosmos in a sacred ceremony with Wachuma (San Pedro) medicine. There I saw the stars as golden dots of light and each one was connected by a thread of gold. I was shown the STAR MATRIX. I understood the sacred Solar Disk was intrinsic in Peru’s spiritual history. I had received a Solar disk into my heart when I flew back to Peru for an amazing time of awakening. I knew this Solar disk vision related to the ancient knowledge of the Star Beings and the Peruvian Solar Disk so revered in their culture. Their stories talk of the Star Beings, Lord and Lady Meru, being born out of the waters of Lake Titicaca and how they brought their teachings from the stars to the people. They lived for centuries and created mystery schools. I had visited their temples on the island of the Sun and the island of the Moon in Lake Titicaca. My guides had shown me clearly these artworks were codes to activate ancient knowledge from the stars. Wow the responsibility was enormous. A few days after the vision, I visited a spiritual church where a well known Australian medium Jason McDonald was guest. He allowed people to ask questions, so curious, I asked him about my art. He said he could see them up on the walls for healings with groups of people and that some of the Artwork includes Petroglyphs and they related to Ancient Wisdom. While listening to his words my body shook profoundly. This was truth and I suddenly realized that these artworks had a relationship to the three Sound Codes I had channeled in 2010. At that time I had also been given an explanation of them in a dream. Next I was gathering broken tablets and shown that I had gathered and repaired three and a half tablets. Each tile, tablet had different writing or glyphs also in bas relief. They were like sandstone etched back around each glyph. I woke with the words “The book according to Zep” constantly repeated so I wouldn’t forget. I realized then my recording of the sound Codes were connected to the Solar disk vision and these new artworks. That each of the nine small golden disks, represented one of the broken tablets. And the petroglyphs contained the teachings and ancient wisdom from the Stars. Back to my process with the artworks. Blown away by this revelation, I decided to recreate the Solar disk with three arms down to three small golden disks, to represent the three sound codes already recorded. I then drew three tablets below the smaller disks because I hadn’t yet channeled in the glyphs on each tablet, I decided to put into the center of each tablet a keyhole. The ancient wisdom was still to be unlocked and revealed. I had to find the key for myself to begin to unlock the wisdom. As I put the finishing touches onto the tablets, a wave of emotion pushed up and I sobbed heaving onto my bed. I was overwhelmed with the enormous responsibility it is to bring this wisdom out into the world and what a lot of work I had yet to do. The timing was perfect. The emotion was also due to the past year I had lost my direction resulting from family issues. I consciously had to work through my holiday period to get back in connection to Source and my guides. Having done that during the night a giant wooden door had woken me and boomed clairaudiently. There was no going back, I must complete and fulfill my contract with the Star Beings, the Galactic Federation of the Great white Brotherhood of Light. “The codes of conscious ascension need to be activated, opened and released to complete our missions. When the filaments of the codes of light are released they will activate with Christ consciousness. She also wrote that “The Tablets of Testimony were a covenant between the Akhus (the Gods) and the Divine Lineage of Kings – the Akhu lineage. Back to work I channeled in the third code in full size art paper. It was glorious in blue and gold quite amazing. I let it be for a few days but was woken in the middle of the night to a loud commanding male voice saying “LOOK.” Clearly my guides can get a bit impatient with me. So that next morning I sat in front of this blue artwork and my vibration expanded and lifted to a high frequency of love and I became altered, so much so, that I was unable to work for the rest of the day. I created three more artworks and then stopped for three months with packing house and moving twice before I was in a stable place once more able to work. And so I continued. On the mornings that my guides directed me to bring an artwork in I would wake feeling light and altered and with a sense of creation flowing through me. Then I began to work with a pilot group. They were trialing my work in exchange for feedback. Preparing my website with information for the pilot group, I placed Code One Image onto my site with a sound player available for them to listen to the sound code as they look at the visual art code. I sat for three minutes looking and listening and this was my result. That night I dreamed a past life. I was in China apprenticed to a Martial Arts master. I was shown by the master that the path to mastery is achieved through focus and commitment. I saw he was being tested by men trying to catch him out. He was forced to train a Princess, but I saw he was only getting her to walk through water. I question him why he wasn’t training her his usual way. He said he didn’t need to show his power to others. I saw him sublimated his mastery. I understood he had mastered his Ego and had no need to show his power. It was a lesson in Mastery. I realized the potential of these Ascension Star codes of light could assist us towards spiritual mastery for our Ascension. Through merging with the codes, we incorporate light filaments of higher frequency into our energetic bodies which trigger the personal codes in our DNA to release the next aspects, moving us to an expanded consciousness. This enables the body to carry more light and be ready to receive the next triggers of awareness. Step by step, code by code, upwards towards the Ascension embodiment of light. To surrender to the not knowing of the conscious mind the ego to the wholeness of our Soul’s wisdom. “It is wonderful to know that I am able to participate and experience the Code in such a magical way. Code one – Beautiful! I was standing on a shore, the waves gently lapping against the cliffs, lined with several crystal caves. I felt myself enter the water and I became taken by the arms and escorted by two mermaids, and a little reluctantly, taken down ever deeper beneath the sea.We arrived at the Merpeople’s home on the sea bed. I was taken to an area where I saw my reflection, and I was surprised to see that I had transformed into a mermaid too. I felt this code working on my emotional body and it was so deeply healing.